For those who have watched the opening ceremony of the Olympic Wintergames in Sochi, you will most probably have noticed the failure of the technology when the five rings of the Olympic logo should have appeared. One ring got stuck. 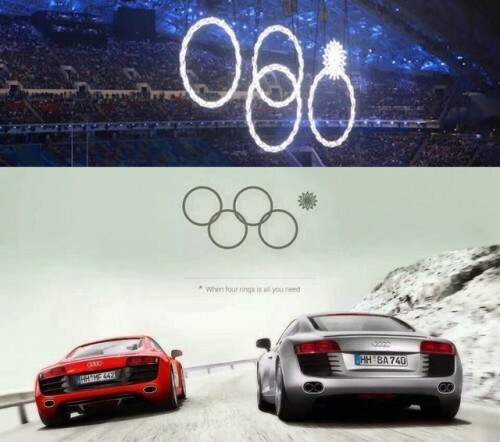 Perfect timing for Audi to respond. Airfasttickets: Want to travel cheaply?